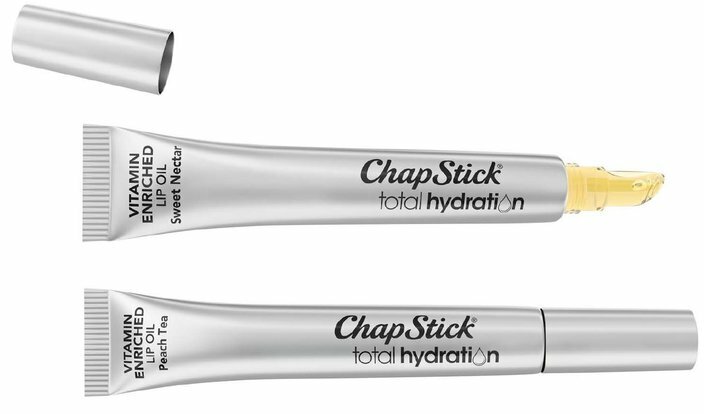 Investigation: Are lip balms like ChapStick intentionally addictive? Is lip balm addictive? Inquiring minds wanted to know. As far as conspiracy theories go, this one could be dismissed as rather tame despite its potential impact on consumers each and every winter. ChapStick, Carmex, Burt’s Bees and other lip balm products present themselves as saviors for the chapped and dry lips brought on by cold and windy weather, but could those little tubes and containers actually serve as delivery systems for a rather specific addictive behavior? From time to time, that age-old contemplation presents a challenge to Big Lip Balm. It’s gotten to the point that Blistex has dismissed “the number of urban legends and humorous web sites devoted to lip balms” on its website’s FAQ page. To some, though, the struggle is painfully real and worthy of exploration. So, we presented this theory to local dermatologists, lip balm addicts, the founder of a group called Lip Balm Anonymous and others. Their collective response? There’s something to it, but it doesn’t exactly rise to a public health emergency. To examine the science behind balms and validity of the theories, we turned to two local experts: Dr. Nazanin Saedi, assistant professor and director of laser surgery and cosmetic dermatology at Jefferson University Hospitals, and Dr. Bruce Brod, clinical professor of dermatology in the Perelman School of Medicine at the University of Pennsylvania. Both downplayed the potential “addictive” nature of the products, while sharing the belief that some balmers may be behaviorally inclined to use it more than necessary for a variety of reasons. For people inclined to lick their lips excessively, the balms provide moisture, but the behavior makes the balm evaporate more quickly. “When that moisture evaporates, they keep licking and that compromises the barrier, causing more irritation, making it easier for anything to cause irritations like rashes around their lips,” she said, noting that mild topical steroids are prescribed in these situations. More common in the field is diagnosing patients with angular cheilitis, which can lead to cracked lips. “That drives people nuts because it’s painful,” she said of a condition that can be caused by saliva building up in the corner of your mouth. Brod agreed that lips get irritated more easily than other parts of the body, thus playing into balm re-applications. Factor in the exposure of lips to more irritants – not to mention food with high and low PH, medications that dry them out, habitual lickers and moisture accumulation during sleep hours – and it’s a recipe for stocking up on the balms. Opposed to other areas, our lips neither maintain the integrity of oil glands nor produce as much moisture, which allows skin to function normally. He noted that some products have ingredients that cause allergic reactions or irritation, which could prompt the user to apply more and more without realizing the cause. That’s all well and good, but the fact remains that Lip Balm Anonymous exists and – per its members and founder – for good reason. Kevin Crossman founded the group some 20 years ago “under the guise of a support group” with tongue somewhat in cheek. That tone can be seen on the FAQ section of its website where it addresses people who think “this is a joke, right?” as well as those who mistakenly think they’re belittling other addictions while noting that people writing them off as “humor or parody” unintentionally help them spread their message. He challenged Big Lip Balm to back up assertions that their products aren’t habit-forming. Tis the season to use -- and overuse -- lip balms and associated products. Over the past two decades, he said the group hasn’t faced any lawsuits because of their message. “Lip balm companies like to have this tongue-in-cheek response to the problem to drive sales,” said Crossman, noting that the group doesn’t have meetings. “There are definitely cases where people were hooked on this stuff. They have lip balms everywhere, five places in their house, at work, in the car. At some point, it’s not a healthy obsession to have that much lip balm around. WHAT SAYETH YOU, BIG LIP BALM? This week, both ChapStick and Carmex were kind enough to entertain the very important questions arising from this investigation. As would be expected, both manufacturers said their products do not leave customers in the throes of lip balm addiction. "While ChapStick has many loyal fans who use our products regularly, ChapStick products do not contain any addictive ingredients." Rather, its "large portfolio of products (are) designed to meet different wants and needs of consumers and deliver year-round skincare for lips." They accomplish this goal by providing a barrier that prevents moisture loss and, thus, protects lips from dryness. Carmex (which countered Crossman's cold-sore label claims) spoke to its history, specifically that of its Classic Lip Balm, which is "made with only the purest, high-grade ingredients, remaining faithful to Alfred Woelbing’s original 1937 formula." As for the addiction theory, Carmex also issued a denial: "We’re happy to report that Carmex lip balms are not addictive, but we can understand why our fans always have their Carmex close by." So, what's the takeaway from all this? No, you aren't addicted addicted to lip balm, but you could be inclined to overuse it because of a lip-licking habit that's tough to break. Also, the experts say that Vaseline jelly is the most effective remedy for chapped lips.